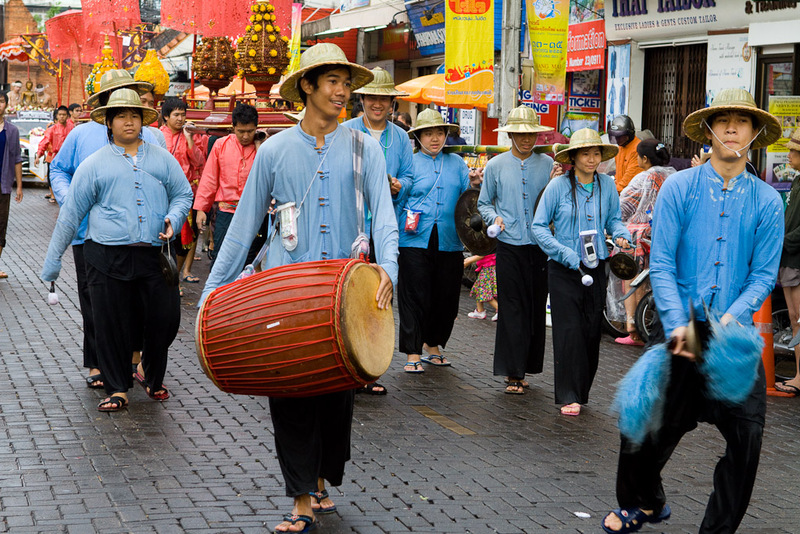 Last week’s photo essay focused on the water works that Songkran is famous for. This week’s essay is on some of the cultural activities that are also part of Songkran, but perhaps a bit less famous. 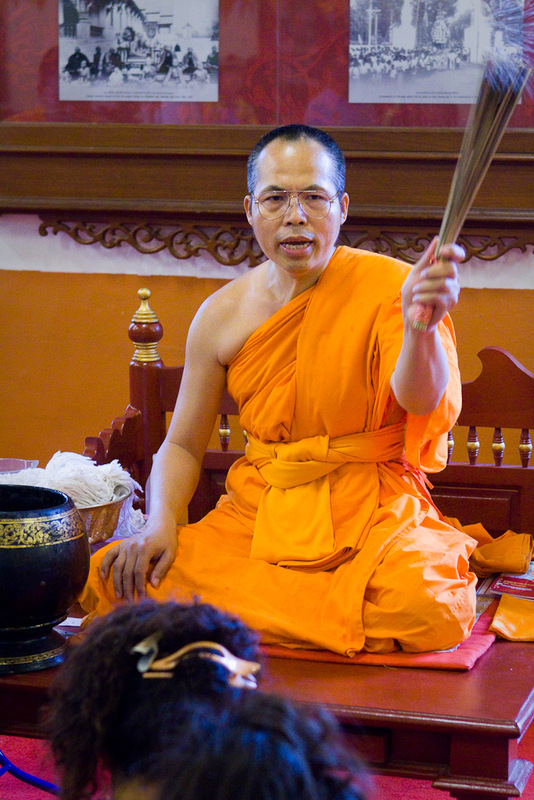 The elder monk leads the prayer as part of the Songkran new year alms presentation. 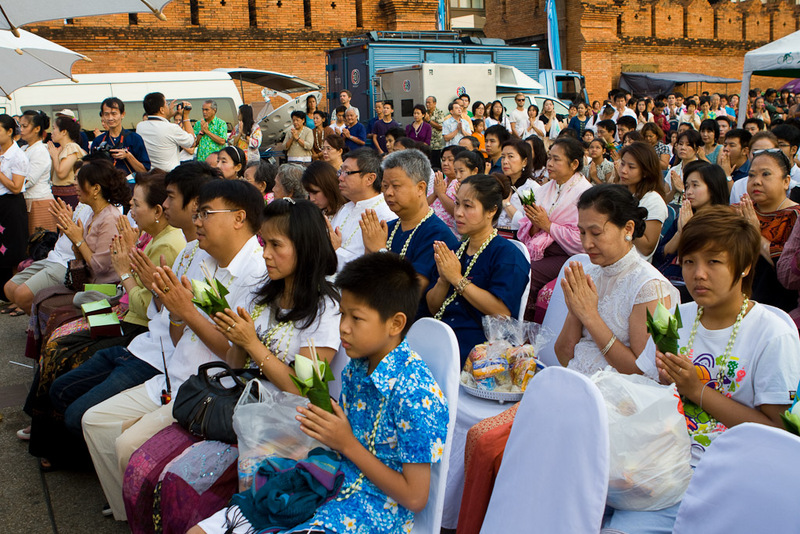 The audience in front of Tae Pae Gate takes part in morning prayers at the start of Songkran. 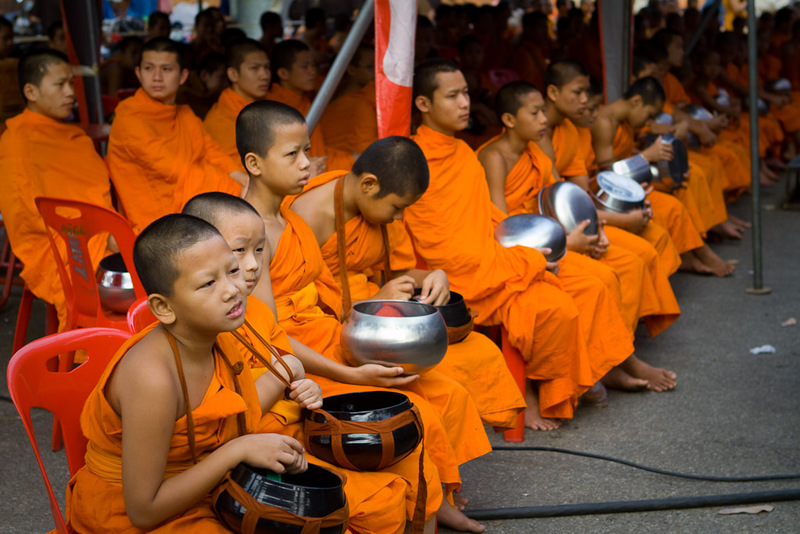 A young monk looks bored backstage while waiting for the start of the alms presentation that helps kick off Songkran. 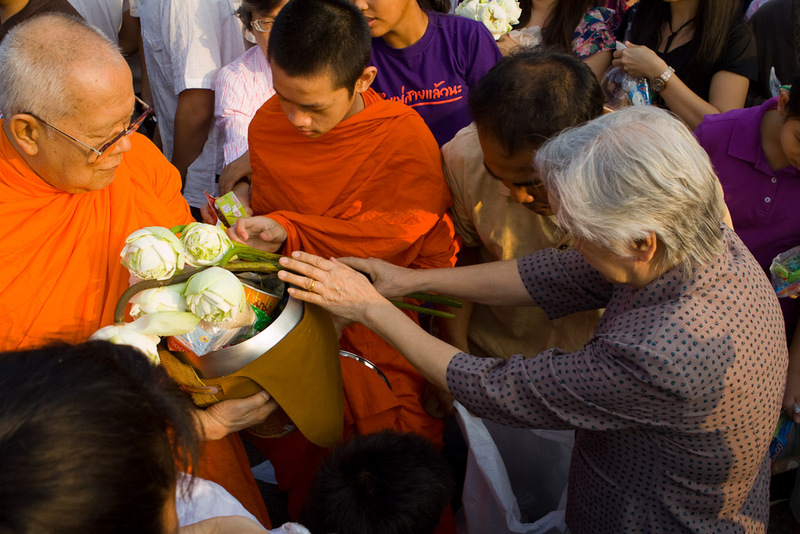 A woman gives alms to the elder monk at the alms presentation during Songkran in Chiang Mai. 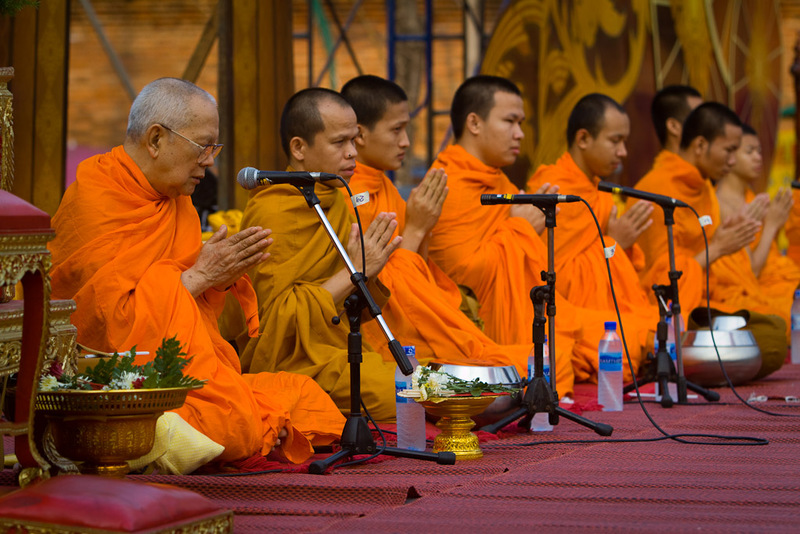 The monks stand in line waiting on alms during the presentation at the start of Songkran. 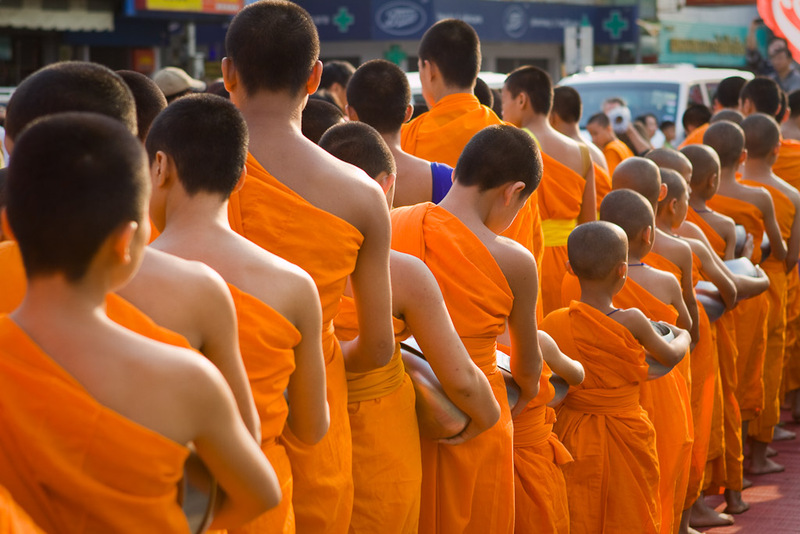 A line of monks receive alms in front of Tae Pae Gate, Chiang Mai. 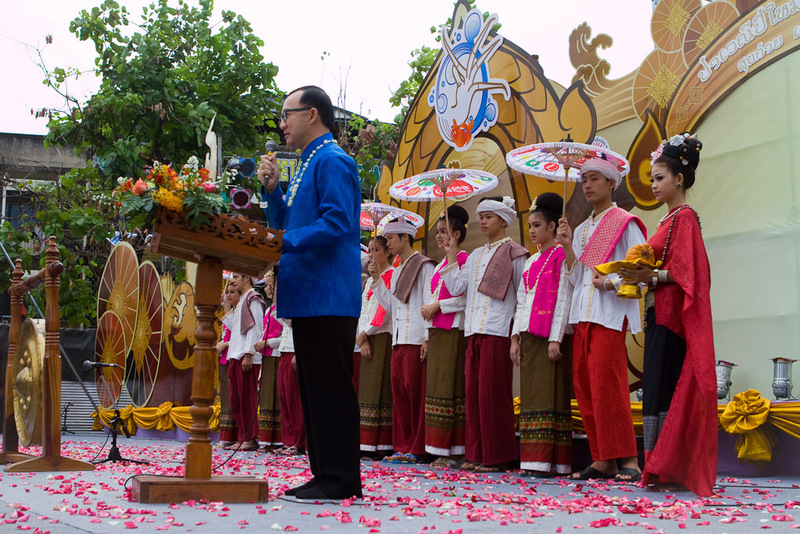 Opening ceremonies officially get Songkran underway. 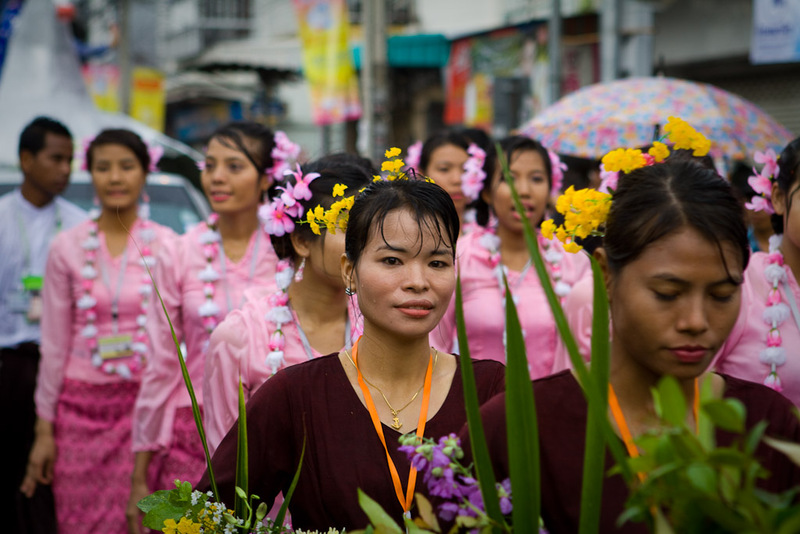 One of the events during Songkran is a parade of women on bikes carrying Umbrellas. Scented water is thrown at this parade float carrying an image of the Buddha in the parade. 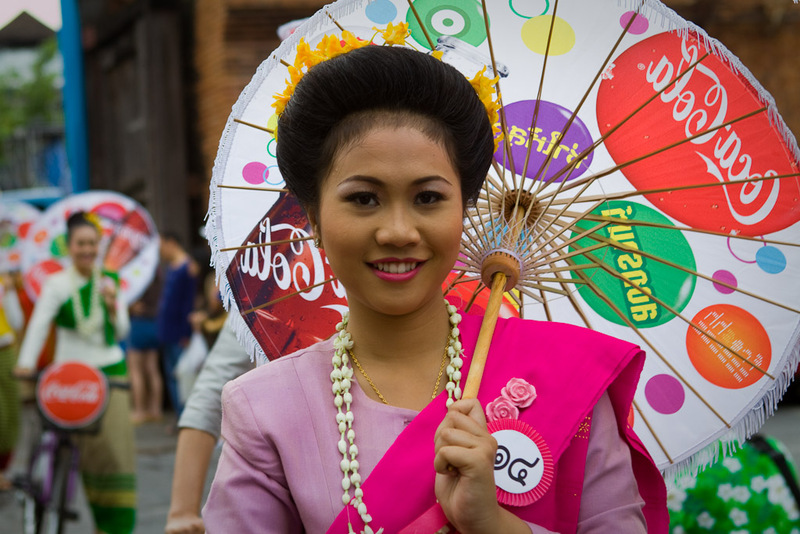 Water drips down the cheek of this woman as she walks as part of the parade down Chiang Mai walking street. 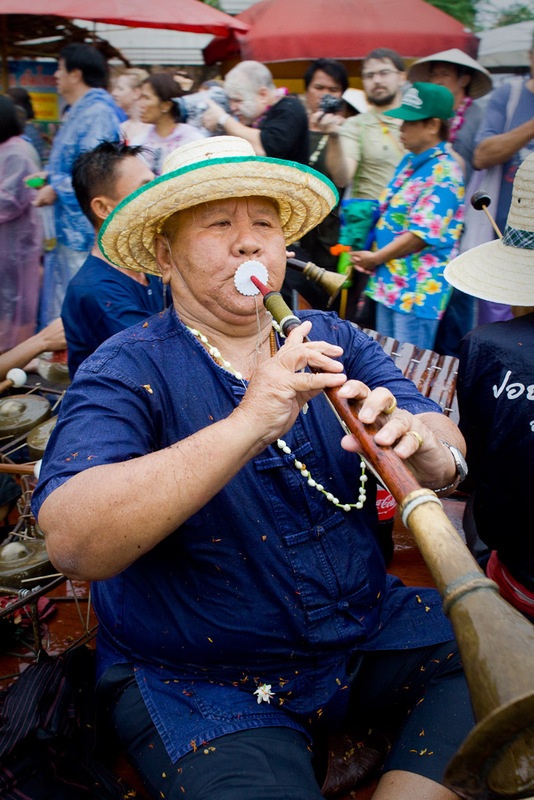 This parade participant blows his own horn as he rides down Chiang Mai walking street during Songkran. 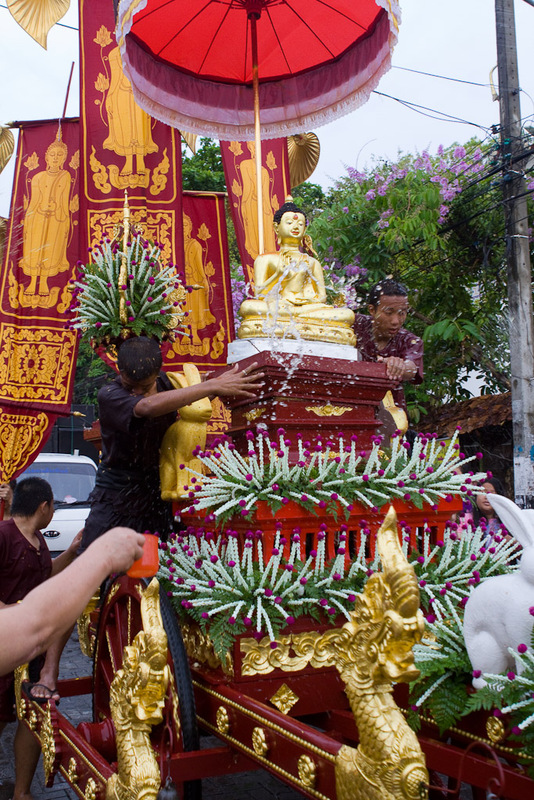 Aside from the water tossing, cleansing images of the Buddha is a major activity during Songkran. This group is filling a vessel with scented water that will take it to the Buddha image at the top of the wat. 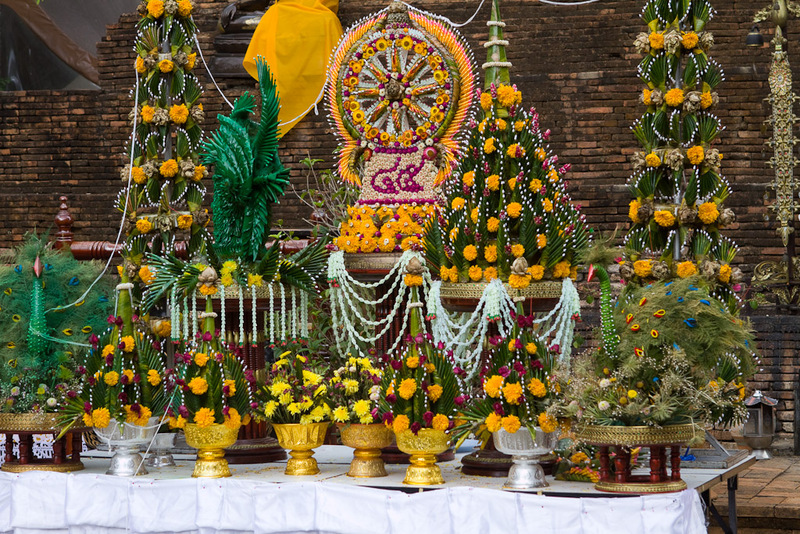 Huge arrangements of flowers and banana leaves are given as offerings. 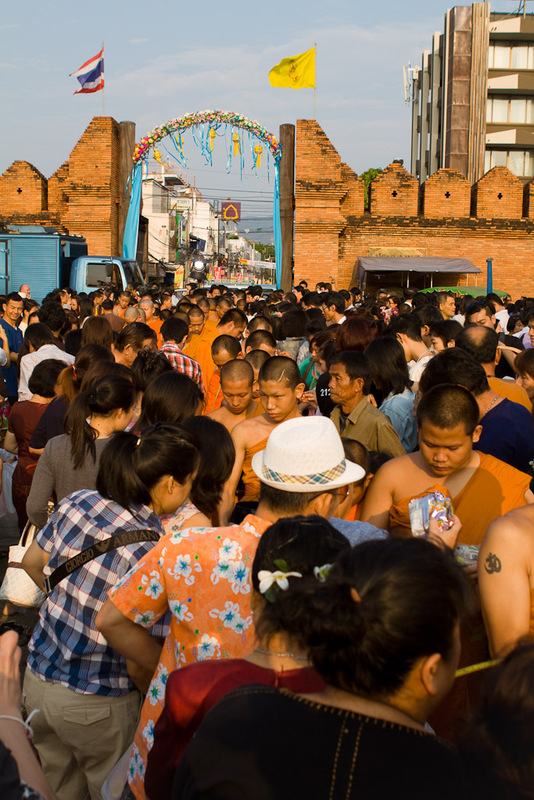 A monk blesses worshipers at Wat Phra Singh in Chiang Mai during Songkran. 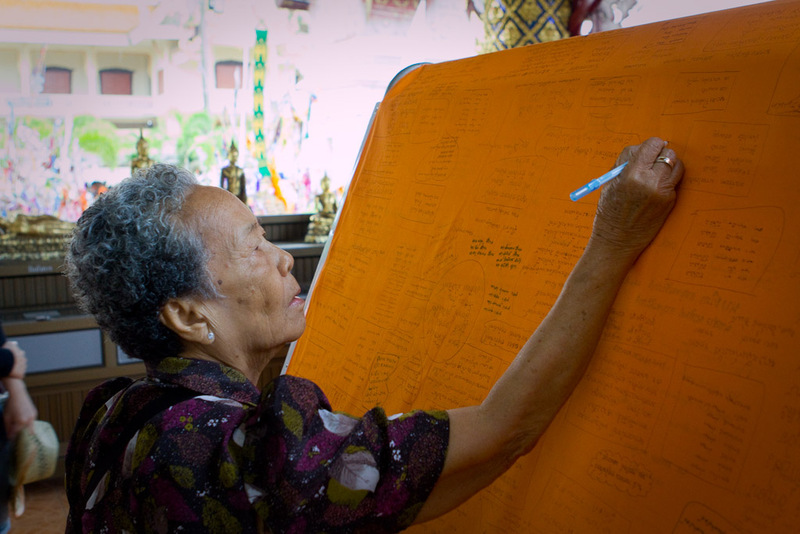 Wat Phra Singh had many Songkran related events taking place, including people writing their wishes for the new year. 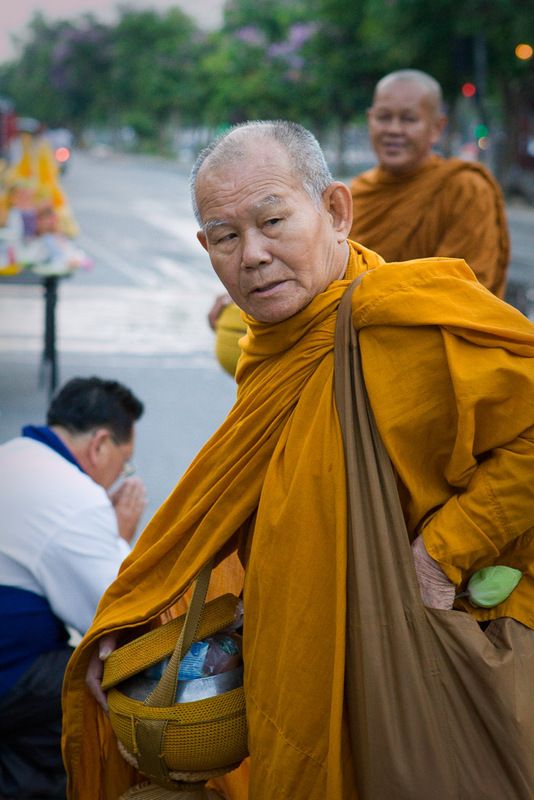 A monk receives alms on the streets in the early morning hours of Songkran.